Batemans is one of those breweries I'm aware of as an old family firm, producing good quality ales in traditional English styles, with the occasional collaboration or other surprise. I don't pigeonhole it with the new craft micros though, so I was intrigued when I got an invitation to their 140th birthday party and the launch of what looked to be a crafty new branding. It turns out there has been a lot more going on in Wainfleet than I'd realised: as well as all their seasonals and specials (Rosey Nosey is a favourite of mine), there's now a series of English Strong Ales infused with coffee, chocolate, Amaretto and such like, sold under the new Bohemian Brews brand, and another series constructed to taste like biscuits – the example at the launch was the Chocolate Biscuit Beer winter seasonal, and if like many people you think this beer tastes like chocolate digestives, well that's exactly what it's meant to do. 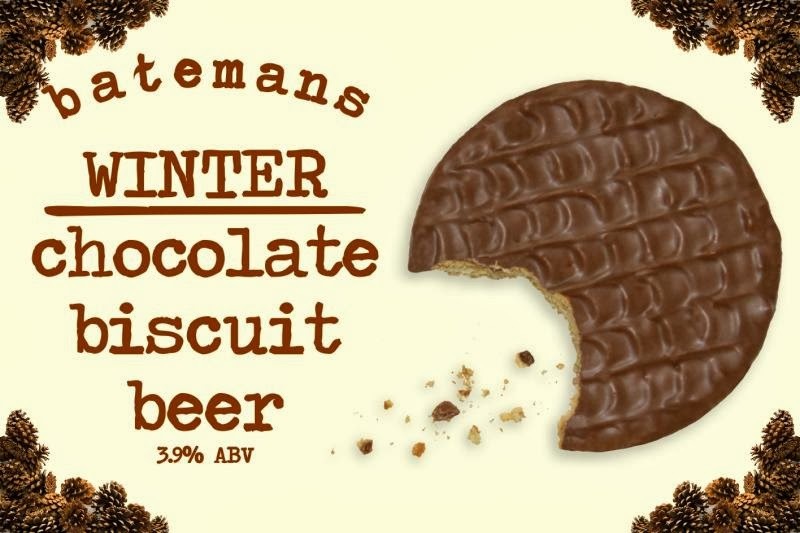 Introducing the new beers – there's also Black & White, which is an uprated 3.6% version of the former 3% Dark Mild – Stuart was keen to stress how much Batemans is already doing in terms of variety and innovation. Having been quite surprised when I saw just how many beers it has listed on Ratebeer and Untappd (at least seventy! ), I'm inclined to agree. “We want to prove you can be a craft brewer with tradition, with heritage since 1874,” he declared, in a direct reference to one of the problems the 'craft beer movement' has here, i.e. that while the term makes sense in America, where 'craft' pretty much equals 'innovative and new', in Europe we still have plenty of brewers who fit all the dictionary definitions of 'craft', yet are centuries-old. He added that Batemans last rebranded in 1979, so it's not like they've rushed into it, and that it's all been done in-house – or perhaps I should say in-windmill, since the iconic mill is still there, albeit in a cleaner, more stylish form. So what are the beers like? To some they might seem well OTT – the Orange Barley beer smells rather like Fanta and tastes like a mix of Fanta and a fine and spicy Rye beer, you can taste the hazelnuts and chocolate in the Hazelnut Brownie beer, and the Amaretto Mocha beer is full of almond and coffee. Yet they all seem to work, and achieve a pretty decent level of integration. Sure, for some people a 330ml bottle will be plenty, but others are already happy to drink them in pints – and it turns out that black pepper is an intriguing match for XXXB. Not too surprisingly, Stuart energetically denied that they are in any way gimmicks. 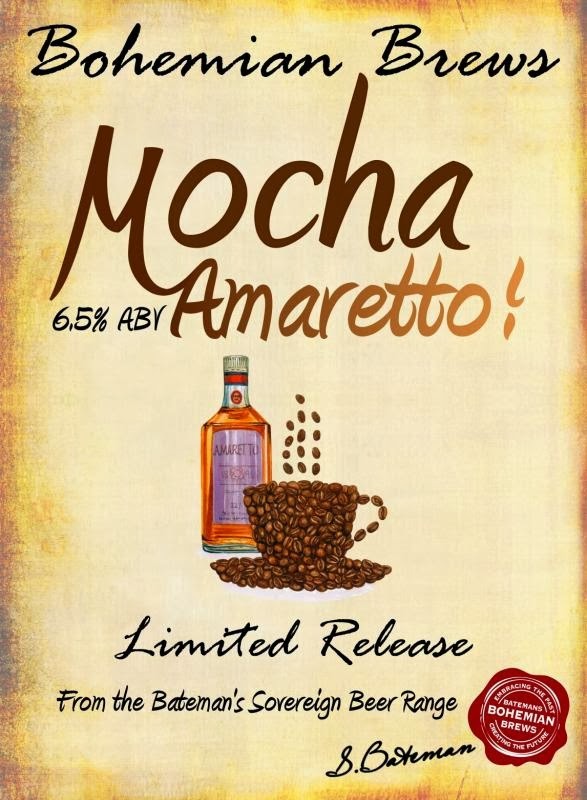 He cited the awards they've already won – first prizes in both the 2013 Sainsbury's Beer Hunt for Batemans Mocha, and in the 2014 one for BBock, a win for cask Hazelnut Brownie in the JD Wetherspoon Autumn Beer Festival, and now first place for cask Mocha Amaretto at the CAMRA Manchester Beer Festival. 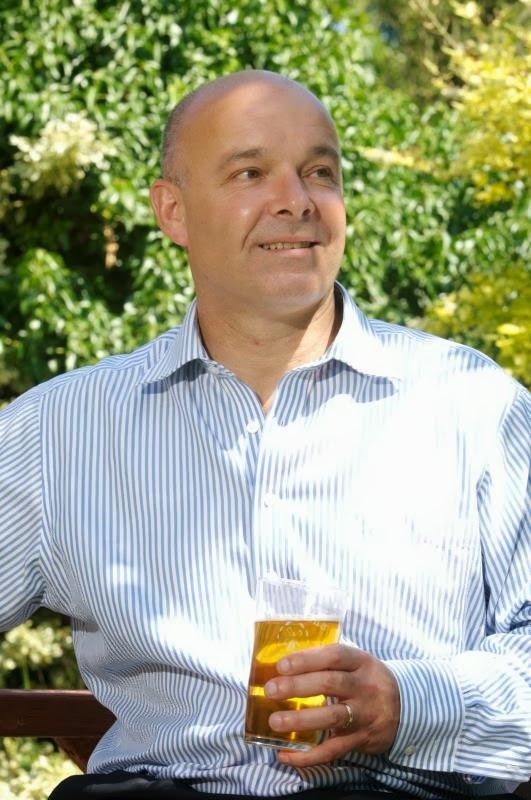 He pointed out too that if you are trying to get new people interested in beer – which he is – then you need to allow for a certain sweetness of palate. And it has to be said that on the evidence of the quite excellent XXXB on cask at the party, and of other excellent cask and bottled beers such as the Salem Porter and Dark Lord, there is no sign that the new stuff will detract in any way from Batemans commitment to fine traditional ales. So, I wish a very happy 140th birthday to Batemans – thank you for all the great beers, and I look forward to drinking plenty more! Whilst it's pleasing in some respects to see a brewery like Batemans moving with the times, I'm not that struck on the new image they have adopted; especially the new pump clips. They might grow on me over time though! I rather like it - the old one looks dated to me. Then again, this one will also look dated in time of course!